Welcome to S2F Marketing, the strategic and creative Birmingham marketing agency. We manage all of your marketing from start to finish. We are your personal team of in-house strategists, designers and writers that understand your brand, business objectives and target audience. 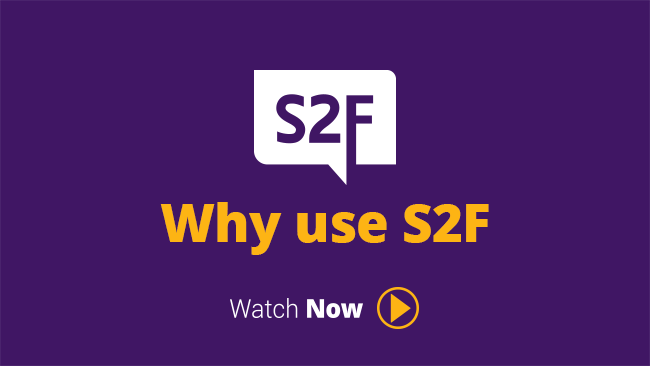 S2F are experts in sales and marketing strategy, design for print and web, video development, engaging copy & digital marketing techniques and campaign approaches that get results. From a brochure to an advert, SEO to PPC, we put together an entire campaign. With over 50 years of combined sales and marketing experience, we know the industry you work in and have a proven record of delivering results. Zeta are manufacturers and designs of industry leading electronic vehicle control products. Their aim is to reduce fuel consumption, CO2 emissions and accident’s. Richard is the S2F studio manager, providing coordinated marketing campaigns and strategy for our clients. Richard’s background is in web design and development but has experience in providing the full spectrum of marketing deliverables, from design for print and interactive presentations through to strategy workshops and detailed reporting. As the team’s Marketing Assistant, Jesse is fundamental in delivering campaign activity – from video animations to writing new website content, editorials and blogs.